Package size: Approx. 9*9*4cm/6.1*3.1*1.2in Support System: Android 4.4/iOS 9.0 and above. Inexpensive and high quality. Many positive reviews available on the Internet. Very easy to set up (minutes after downloading Mi FIT app). 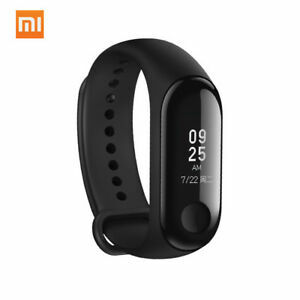 The interface for both the app and the Mi 3 band is in English, in contrary to people's concern that this product is shipped from China. The user's manual found in the package, however, is in Chinese. Nonetheless, there is a lot of information on how to use this product on the web even without a user's manual. I switched from mi band 2. Amazing device. It was with Chinese firmware. I found Russian firmware on 4pda.ru without problem and installed it. Happy with everything !!! Excellent product. The only thing is that does not support any other language than English. I receive messages in Spanish, Hebrew and Russian and Xiaomi does not support any of those. Such a bummer. Great product for the price! Works great. I recommend it.